Jing, otherwise known as “Essence”, is seen as the foundation of reproduction, development, and growth. It is the primal energy of life and its closely associated with the aging process. Jing is a blend of Yin and Yang energy and is said to be stored in the Kidneys. It is also said to maintain control over numerous primary human functions such as, the power and clarity of mind, reproductive organs, and your physical structure. Jing is spent by the body itself, but excessively by acute stress and being overworked. Jing tonics are used to replace the energy spent by these excessive behaviors and can also be built up for future use. Luckily, Ron Teeguarden’s formulas and herbal combinations mend this great treasure together with ultimate herbs. Dragon Herb Deer Antler Drops contain the “big three” dietary supplements of China - Ginseng, Reishi Mushroom, and Deer Antler. These have been used in ancient times to improve energy, protect the body, prolong life, and promote wisdom. Not used to treat any disease or sickness, Deer Antler Drops support radiant health and a normal healthy life. Considered a Yang Jing herb, it tonifies Yin Jing, Blood, Qi, and Shen, which is all three treasures. The “energy” or “life force” treasure is known as Qi. Key to Chinese medicine, Qi is the vital energy of the body. We all need Qi on a daily basis. This tonic supplies the energy needed to support our immune system in protecting our bodies against aliments. Qi tonics, composed of blood tonics, increase our ability to fully function. This strengthens our digestive, respiratory, and assimilative functions. These tonics improve the quality of energy and blood flowing through our system, which leads to an increase in physical and mental life. "The invisible life force which enables the body to think and perform voluntary movement. The power of Qi can be seen in the power that enables a person to move and live. It can be seen in the movement of energy in the cosmos and in all other movements and changes. Qi circulates through the twelve meridians, the energy circuitry of the body, to nourish and preserve the inner organs." Qi tonics and Dragon Herbs Qi Drops is the quintessential Qi tonic formulation, which Chinese herbalism is rich in. Qi Drops contain an outstanding number of leading Qi supertonics used in Chinese tonic herbalism, including Ginseng,Astragalus, Gynostemma, Codonopsis, Tibetan Rhodiola, Eleuthero (Siberian Ginseng) and more. This very powerful formula can increase Qi production in the body by helping to strengthen the functions of the lungs and digestive system. Shen is the “Spirit” and the “Mind”. It is ultimately the most important because it addresses the higher nature of human beings. Masters of Chinese descent say that Shen is the “all-embracing love” that take place in our heart. This great treasure is responsible for cognition, emotional life, consciousness, and presence. Therefore it is responsible for things we do on the daily basis, such as thinking, feeling, and planning. It is our ability to view all sides of any issue and determine the good and the bad. It is also determined to a be a yang entity that is rooted in a yin substance, which is blood. Dragon herbs 8 Immortals is an ideal example of a supertonic formulations that builds all Three Treasures and helps regulate all the organ systems. This product is found to boost chi while also centering Shen tonic of the highest level. Containing 8 of the premier herbal substances known to mankind, this formula is made with premium wild Chinese Ginseng, wild American Ginseng, Duanwood Reishi, wild mountain Reishi, pure Cordyceps, wild Tibetan Rhodiola, wild Schizandra, Goji, wild Snow Lotus and premium grade He Shou Wu. Super concentrated, this herbal formulation has anti-aging, spirit lifting, immune strengthening, and mind strengthening qualities. Your key to radiant health and longevity are these Three Treasures. 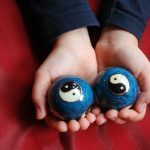 As the giver, the breath, and the light of life, this essence of Chinese Medicine is your step forward into a complete system that will ensure your keeping your body, mind and spirit, in balance and harmony. If you are interested in more Jing, Qi, and Shen products, Renewed Health Supply is your center for Dragon Herbs and nutritional supplements. Start living your best life today! Is there anything better than starting your day of with a healthy and refreshing juice? I think not! Not only is juicing beneficial for your overall health, but it provides you will the essential nutrients your body needs to perform. If you have been indecisive about wanting to buy a juicer, let us change your mind. Here at Renewed Health Supply we rely on the Champion Juicer to produce our daily juices. The Champion Juicer is a manual juice press. With the Champion Juicer it is built to give your juice the best consistency. It provides you with the creamiest and tastiest juice on the market. There is no need to search for another juicer, the Champion Juicer is tried and true to the core. You can count on the Champion Juicer to last a lifetime. Juicing is such an easy way to give your body all the nutrients you miss in your daily diet while combating daily illness at the same time. There is no need to deprive your body of its essential nutrients ever again. Not only does juicing provide you with nutrients but it is proven to brighten your whole mood throughout the day. You know what they say, the more leafy greens you can fit into your daily juices the better. This juice is perfect for hydrating your body and skin while brightening your complexion. If you are looking to enhance your skin’s hydration then you should look into complimenting this juice with the Dragon Herbs Goji and Schizandra Drops. These drops have the properties to nourish your body at the deepest of levels. This recipe also provides you a big serving for you to enjoy. This is the perfect way to start off any day! No need to have a coffee wake you up in the morning when this juice recipe exists! 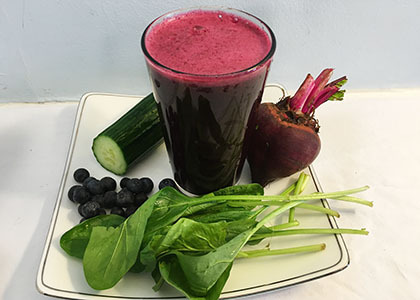 This energizing juice gives you everything you need to start off your day. 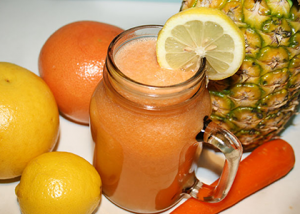 This juice can also help kick start your daily workout regimen. It is super easy to pair this juice with Dragon Herbs Cultured Cordyceps Drops. These drops can provide your body with greater endurance for a better workout. After you use this combination there is no excuse to miss going to the gym. Are you looking for a natural and healthy way to detox? Look no further than this delicious cleansing juice. This juice is rich in antioxidants to help gently detox your body. 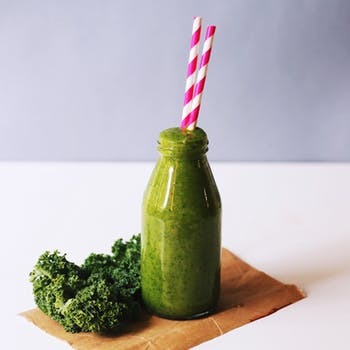 Pair this juice with the Synergy Company’s Barley Grass that can be found on our supplements page. This barley grass is organically grown and harvested at the peak of their enzyme content. It is perfect to start off a detox and add additional nutrients to your juices. Have kids that refuse to eat fruits and vegetables? 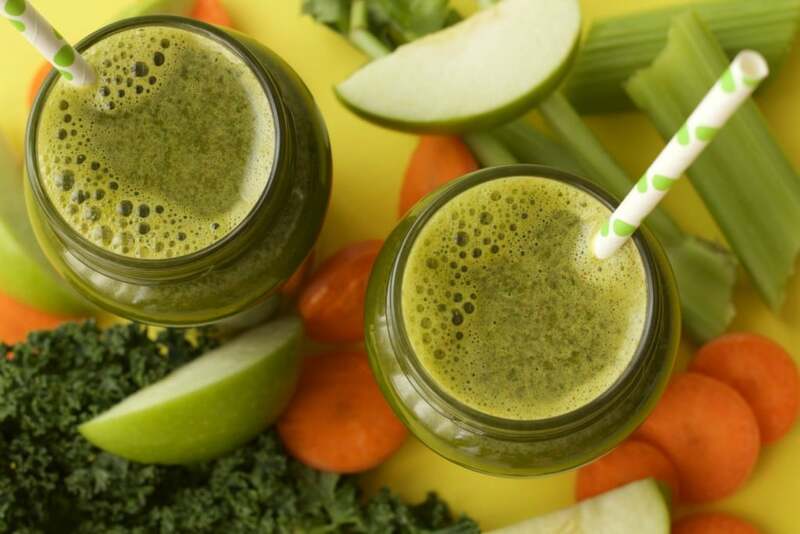 Work them naturally into their diet with this healthy and kid proof juice recipe. Help your kids get a good variety of fruits in vegetables into their diet while having fun! Include them into your process of making the juice with our Champion Juicer, even kids can help out. You can compliment this juice with The Synergy Company Pure Synergy. This can provide your children with superfoods that are nutrient dense that will benefit their overall health! If you are looking for a little help with your digestion while using all natural ingredients then look no further. This juice recipe has fruits and vegetables that help aid your digestive system and improve your overall health. This juice can be paired with The Synergy Company Pure Radiance C Powder form. This powder can be easily combined with a juice and contains many important health-enhancing and antioxidant benefits for your health. 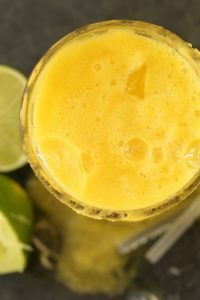 Are you ready to try out these juices for yourself? 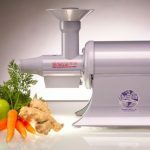 Check out our Champion Juicers at Renewed Health Supply. Don’t overspend on a juicer. Our Champion Juicers start at only $299, way below our competition prices. You can also pair every juice with one of our many supplements to give your juice an extra healthy kick to it.Check out our supplements page to find a perfect match to your juice. The possibilities are endless with the Champion Juicer!